Wylde Green Shopping Centre used to be known as “The Yenton” or the “Tram Terminus”. 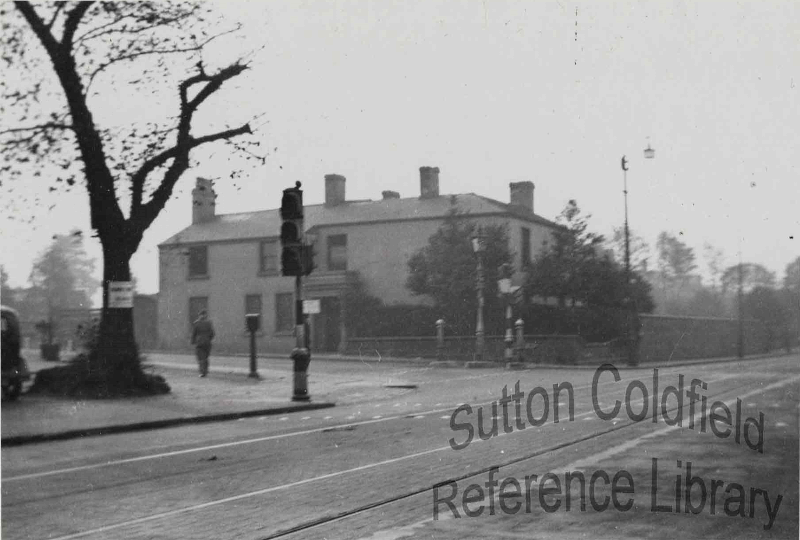 The trams from Birmingham terminated there because that was the Sutton Coldfield boundary, and the body responsible for making the original tramline from Salford Bridge, Erdington Urban District Council, had no powers beyond its boundary. The tramline was opened in 1907. Erdington had secured powers to build the tramway by Act of Parliament in 1902. In August 1902 Sutton Borough Council decided to apply to Parliament for powers to build tramways in the borough. Surveys were made, and a plan produced showing the proposed routes. Tramway No. 1 was to run along the centre of Birmingham Road from the Erdington tram terminus to the Parade, and tramway no. 2 continued along Lichfield road to the Sutton boundary at Watford Gap. Tramway no. 3 ran along Jockey Road and Boldmere Road to link with a proposed Erdington tramway (not built) at Gravelly Lane, and the scheme included a fourth line along Chester Road from Gravelly Lane to the Yenton. Tramway no. 9 led down Victoria Road and Coleshill Road under the bridge to the Borough’s brand new Electricity Generating Station and the proposed tram depot. The trams would run on electricity from an overhead wire. This was reported in the Daily Mail for July 14th 1903, but an editorial in the same newspaper the next day hints at the real reason: “One understands that the well-to-do resident who has a pleasant villa fronting on the main road and can afford a first-class season ticket objects to the trams, but the less fortunate have a right to be considered”, and their Sutton correspondent reported on the intense satisfaction felt among the inhabitants “who have been all along opposed to the trams”. This whole charade had been sparked by rumours circulating in the Summer of 1902 that the British Electric Traction Company was about to apply for powers to construct tramways in Sutton. Trams would lower the tone of Sutton, so the devious Corporation succeeded in keeping Sutton tram-free by pretending to want to build their own network. Tramlines at the Chester Road crossroads, 1939 (photo courtesy Sutton Reference Library).